The Singapore Toy, Game and Comic Convention (STGCC) takes place on the 12th and 13th of September 2015, and Hot Toys, the premium collectible action figure manufacturing company from Hong Kong, is ready to kick-start the event with an exclusive new collectible. Hot Toys have announced that the world premiere of the delightfully azure 1/6th scale Iron Man Mark III Stealth Mode Version Collectible Figure (2015 Summer Exclusive) will take place at STGCC. Visitors at the event will not only be able to see the rare blue beauty, but they will also be the first in the world to be able to purchase it. 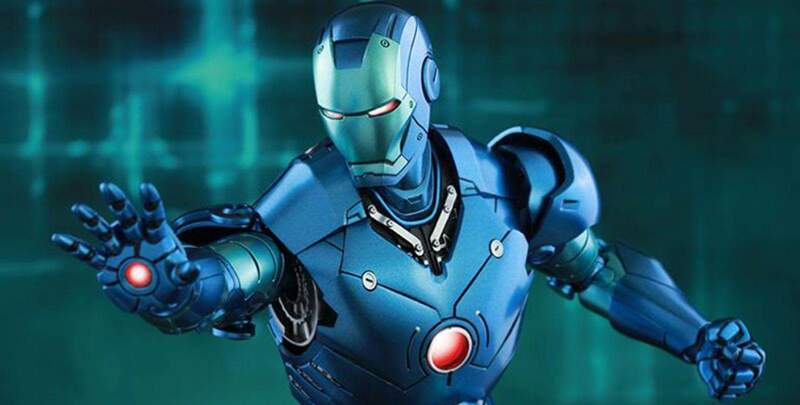 Unlike the other Iron Man collectible figures in Hot Toys’ arsenal that are based off of the Marvel Cinematic Universe, this unit is unique because it features a colour scheme that has only been seen in the Iron Man comics – a first for Hot Toys. The photographs of the Iron Man Mark III Stealth Mode Version (2015 Summer Exclusive) Collectible Figure showcase the absolutely gorgeous two-toned teal and blue metallic paint that Hot Toys have used; and it looks specaular on the part Diecast/part plastic armour. I know for a fact that this is a must have unit for me. Hot Toys is well know for producing exclusive and rare limited edition collectibles, especially when it comes to Iron Man. Some of my favourites include the Iron Man III “Silly Things TK Edition” Mark VII Gun Metal Grey Version, followed by the Iron Man Mark XXI ‘Midas’, and, more recently, the Iron Man Mark VII Stealth Mode Version (Movie Promo Edition) – I am a sucker for limited editions. What attracts me most to this collectible is its wonderfully blue paint job, which is spectacularly juxtaposed with the figure’s red eyes and arc reactor. There is no doubt in my mind that the Hot Toys Iron Man Mark III Stealth Mode Version (2015 Summer Exclusive) is fantastic addition to the growing list of exclusive and rare Iron Man collectible figures from Hot Toys. The Diecast 1/6th-scale figure will be available for purchase at STGCC, alongside the stealth version of the Mark XLIII Cosbaby bobble-head and the Hot Toys Exclusive 1/6th-scale First Order Stormtrooper Squad Leader from Star Wars: Episode VII The Force Awakens. The Hot Toys Iron Man Mark III Stealth Mode Version (2015 Summer Exclusive) Collectible Figure is due for limited release in November 2015 and has a suggested retail price of around R5200. Vamers Store is happy to reveal that we are one of the only retailers in South Africa who stocks this unique collectible figure.